Choosing the best web hosting plan depends on how much money you are willing to spend. If you are a newbie in the world of web hosting and you need to find the best plan for a very low budget, there are two available options for you. The truth is that there is a free and affordable hosting. Experts recommend first time users to go for affordable than to choose free. If you can afford to spend a little money, you need to invest in cheap web hosting. There are numbers of reasons why you need to go for cheap web host company than a free web host plan. Right after reading this article, you will be enlighten and make a wise choice. Right before you go and choose between free and affordable plan, you need to first know the major difference between the two. 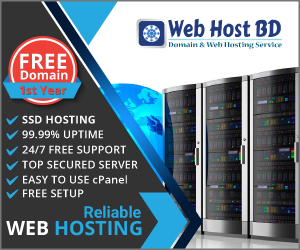 Free web company can provide you a free space to be able to host your website whereas in affordable hosting require minimal amount of payment for their services. Free hosting is a good option for personal use. For example, you want to create a website for personal blogging, free plan can do. If you are going to host a website for business use, paid is the best choice for you. It does not have to be expensive, because there are tons of cheap web company that can give high quality service for a minimal amount. The first reason why cheap web host is an ideal choice for first time website owner like you is the reliability. You need to pay for affordable hosting so you are bound to inquire about the reliability of their services and features. There are lots of free web company that open and close without giving any notice to their users. If you do not have to experience this kind of hassle, then you go for cheap web hosting. If you have an account in free web hosting company and it closes without prior notice, then you cannot demand for any compensation. You also need to exert effort in redoing all the work that you have done before to rebuild your website and business again. In affordable hosting, there are limitations but you can ensure reliability. Web companies can earn revenues through advertisement, but in the case of free web hosting you will not have any control of the advertisements. The placement of advertisement depends on the host. They can pace any advertisement that they want on your website and you cannot do anything about it. These advertisements can have an adverse effect on your business. Affordable hosting company cannot just place any advertisement without your knowledge, but it is required that you place advertisement. Affordable hosting is cheap, but it can give you security and protection that free web company cannot provide.